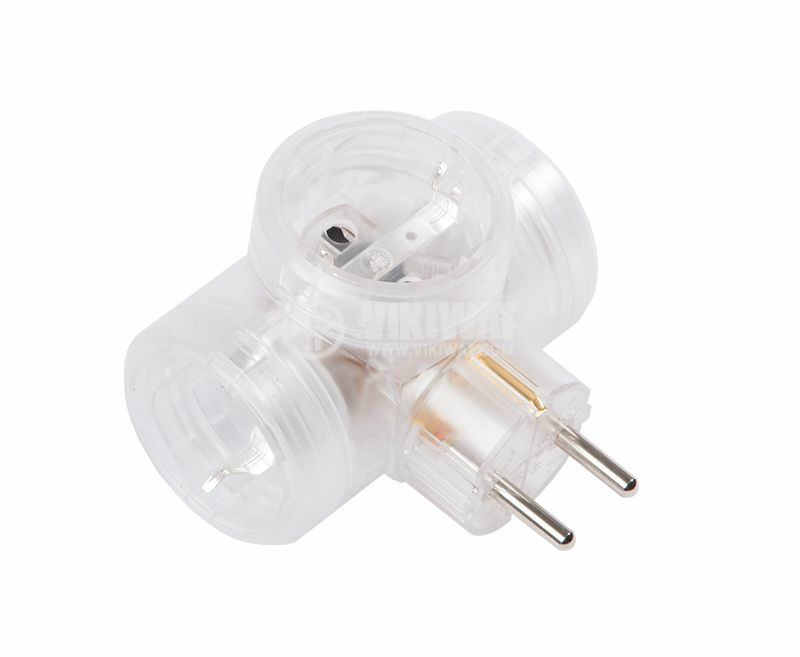 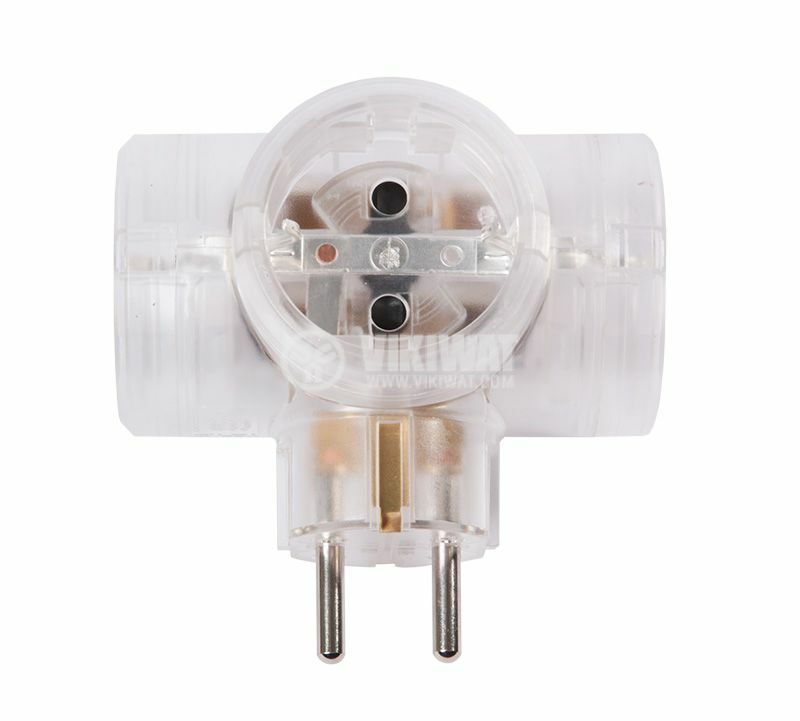 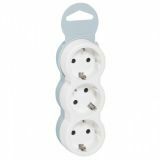 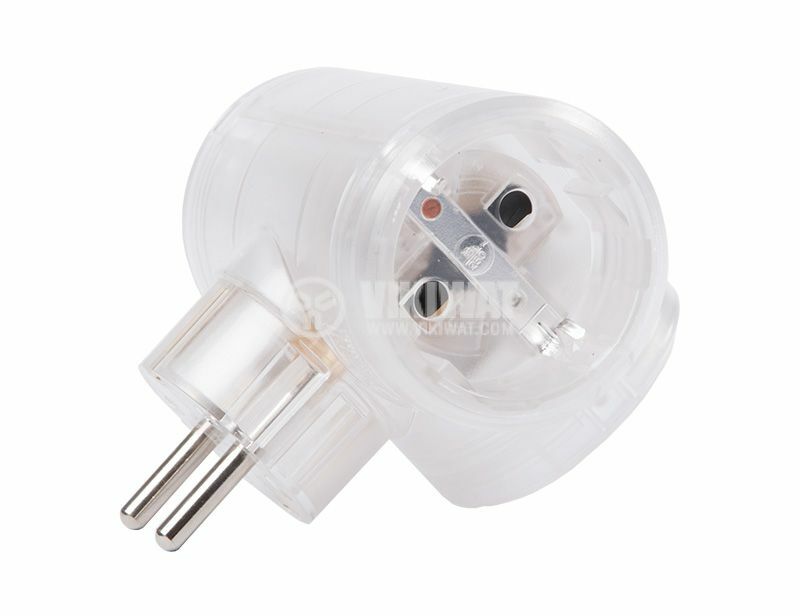 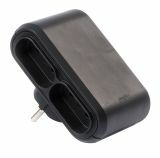 3-way (2P+E) multi-socket plug for contact from LEGRAND, model 50663, 16A, 230V, 3 side outlet type schuko plugs in white color. 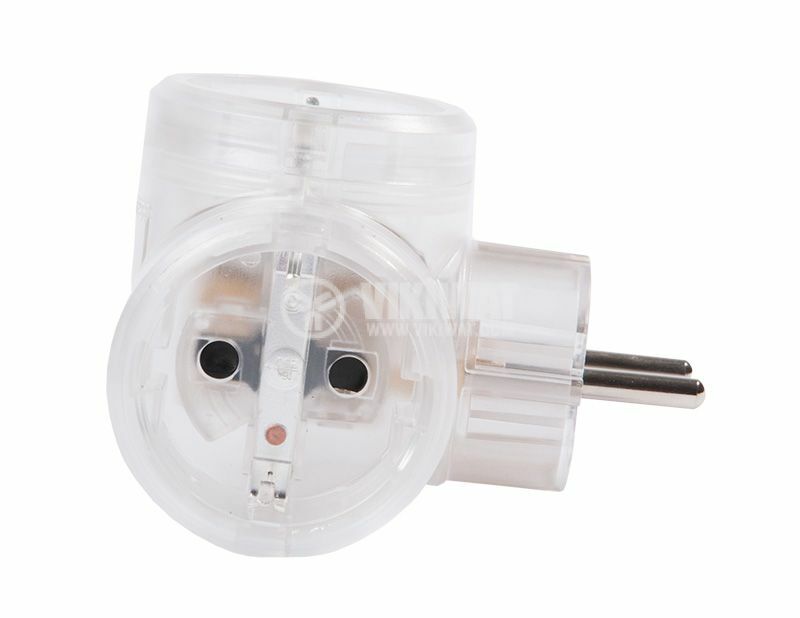 Designed to power household appliances. 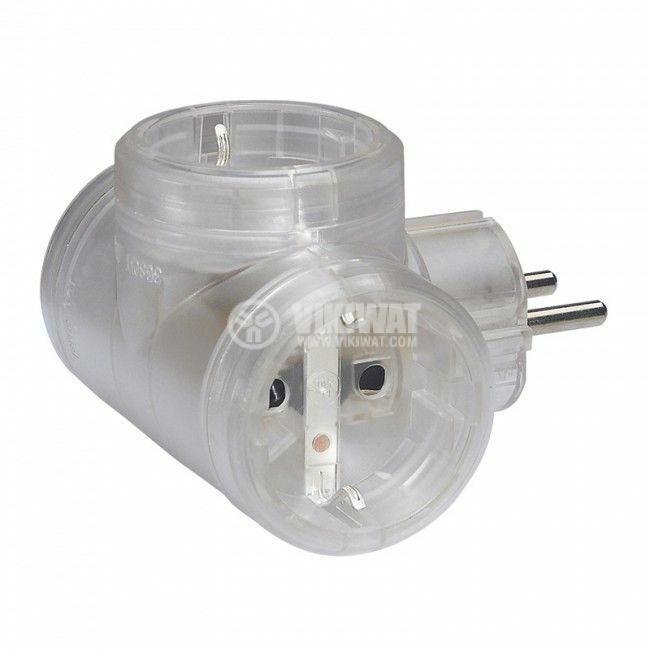 Maximum allowable power 3680W at 230V.